A wrongful death suit has been filed against Royal Caribbean Cruises, LTD following a zipline incident wherein a 27-year-old woman was seriously injured and her newlywed husband was killed. The incident occurred as a part of a shore excursion in Roatan during the journey of the Allure of the Seas, though the excursion was operated by an independent contractor, Extreme Caribe Zip Line Tour. The 24-year-old husband, Igal Tyszman, did not survive his injuries after his wife, Shir Frenkel, became stuck halfway down the zipline, and he had already begun his descent. Tyszman had no way of stopping or slowing down, and he collided with Frenkel in midair. Records indicate that the zip line operators could not communicate to each other when one person had completed their ride and, thus, it was safe for the next person to begin, communication that could have prevented the tragedy. The suit alleges that Extreme Caribe has a history of zip line incidents, citing more than ten, one of which led to a woman having both of her legs severed, and it asserts that Royal Caribbean was well aware of this and other incidents involving the excursion operator but failed to make those issues known to the participants. Additionally, the cruise ship misled the family to believe that the excursion was operated by the cruise company, itself. The plaintiff’s attorneys state, “These newlyweds were expecting a fun excursion with the highest safety standards, and that is obviously not what they received; and the consequences in this case proved tragic.” In addition to Frenkel’s physical injuries—multiple rib fractures, splenic fracture, multiple transverse fractures, and more—she also will have to undergo treatment for the emotional and mental trauma resulting from her husband’s death. 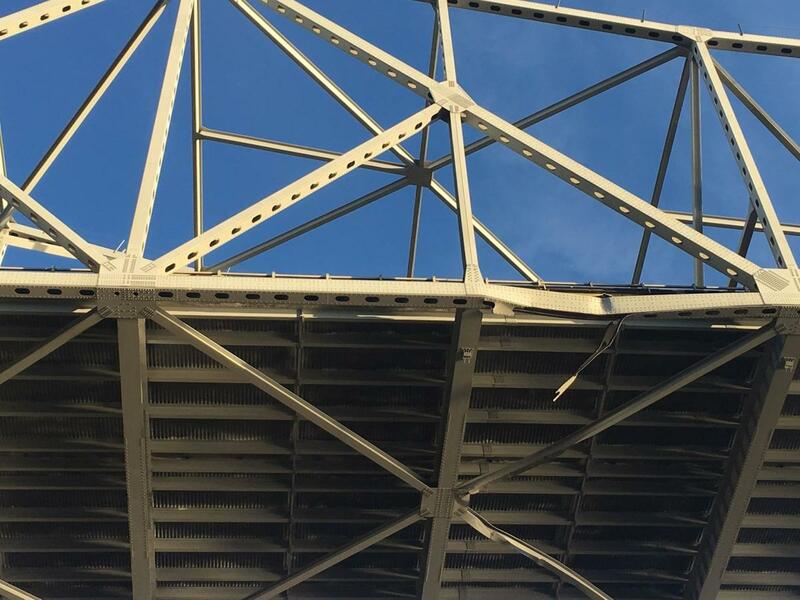 A maritime allision between a boat and the Sunshine Bridge in Donaldsonville, Louisiana, raises questions as to who may receive compensation under maritime law. The crane barge, operated by an employee of Marquette Transportation Company, caused more than $5 million dollars of damage to the bridge. As a result, the bridge will be closed for nearly four months, and the frequent traversers of it are forced to extend each commute by at least an hour. The inconvenience thrust upon these local residents is tangible, but do they have a legal argument for compensation? Unfortunately, and perhaps unjustly, current maritime case law may not in their favor. 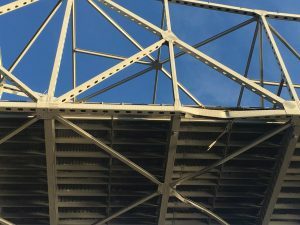 In the case involving the Sunshine Bridge and Marquette Transportation, it is clear that the State of Louisiana has a right to compensation as the owner of the physically damaged bridge. It seems, however, that according to Taira Lynn that the local residents do not have such a right, though, according to sources, what was once a 90-second drive across the Mississippi River has turned into a 90-minute, 50-mile detour, costing drivers both time and money. In fact, local schools have had to adjust their start times to accommodate students who are simply unable to arrive at such an early hour due to the bridge’s closure. These affected citizens certainly do not have any ownership of the bridge, but in the interest of justice, this should not disqualify them from being compensated for their economic loss. A recent Fifth Circuit per curiam opinion proves to be a lesson for maritime and admiralty attorneys in how to preserve issues on appeal, particularly in Jones Act jury trials. In 2014, Plaintiff Richard Bosarge applied for employment with Cheramie Marine, L.L.C. and was hired as a relief captain. While on duty, Mr. Bosarge sustained injuries to his back when he was tossed out of his bunk when his vessel hit a large wave. Cheramie responded by arguing that the waves were not violent and alleging that Mr. Bosarge never reported any injuries to his superiors, other than some seasickness. Mr Bosarge sued his employer under the Jones Act to recover for his back injuries. During his pre-employment physical examination, Mr. Bosarge denied having any prior back pain or injury, although he had sought medical care for back pain in the past. At trial, Defendant’s medical expert was able to compare pre-injury and post-injury MRIs of Mr. Bosarge’s back, and testified that the post-injury MRI showed less injury than the pre-injury MRI. The jury returned a zero verdict and Plaintiff appealed.